The classic pairing of Diamond and rich green Emerald is given a simple, contemporary design twist with this beautiful Yellow Gold Necklace. 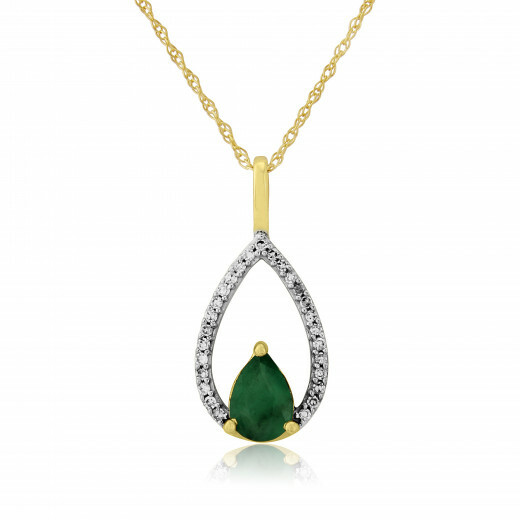 A teardrop shaped Emerald is surrounded by Diamonds in an open design Pendant that echoes the shape of the Emerald. An elongated bail holds the fine Yellow Gold chain. 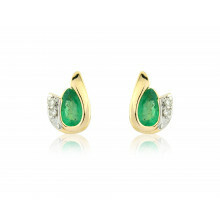 Emerald is the birthstone for May so this makes a perfect birthday gift too.